Although this letter may be lengthy, it will be worth your time to read it. The difference that was made in the sale of my condo and the purchase of my new home was nothing short of amazing, due simply by letting my Realtors do what they love to do and what they do best. To start off, having Susan and Tim as my Realtors netted me far more money than I would have made if I had tried to sell by myself. I’m not exaggerating here – I made at least $40,000 more on the sale of my condo than I expected to – and that was after paying their commission. 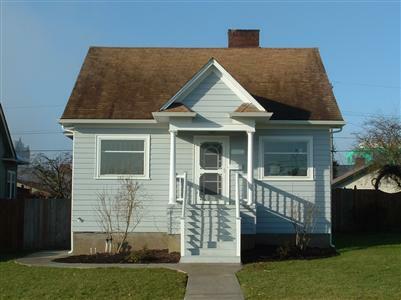 I had found a house on my own that was perfect, but it was already “sold subject to inspection”. Although I had let go, Susan started watching the market continually and when the offer fell through a week later, she was on the phone to me with in hours of it reappearing on her active search. Due to her focus and fast action I got my offer accepted without having to compete with anyone else. Next came the inspection period and that’s where Tim’s expertise was invaluable. He had the best inspectors go through my house-not one but two, and they went through it with a fine tooth comb. Tim was just as involved as they were, making lists of items he came across; right up to climbing up on the roof to check the chimney and the roof himself. Meanwhile, Susan offered her insight as to how I could make decorating changes for very little money. In addition to making the whole purchase process an easy one, their win-win negotiating style motivated the seller to complete many repairs and make a generous financial concession as well. However, with the closing of escrow, it meant I had to get moved into my new house and have my condo ready to put on the market in 2 weeks. I couldn’t see how this was going to happen as I hadn’t packed a thing and I had done nothing to get my property ready for sale. This is where Susan and Tim became worth their weight in gold. First, my condo needed some repair work, new carpeting and repainting. Susan selected the perfect paint color and Tim had a crew out to my house, working 12 hours each day over that weekend and had the entire condo finished with everything completed, including the installation of new drapes throughout. Tim managed all of the renovation and repairs efficiently and economically. Susan and Tim knew exactly how to advise me as to what issues I needed to address and what I could leave alone, thus saving me thousands of dollars in repair and updating. My town house was now in top shape and looked brand new…a perfect blank canvas. The next step was the staging. This was particularly important since I have very specific taste in antiques and Victorian accents, which appeals to a fairly narrow group of people. Two days later, after I was settled into my new house, Tim arrived at my condo with a moving van chocked full of furniture, artwork and accessories. Susan then transformed this empty space into a beautifully decorated home. Susan’s innate skill for being able to bring out the best in a home and make it appeal to a broad sector of the market is phenomenal. I couldn’t believe I had ever lived there or that it could look so stylish! To complete the picture, they hired a professional photographer to shoot the listing photos and then they added text to each photo. The virtual tour was amazing. 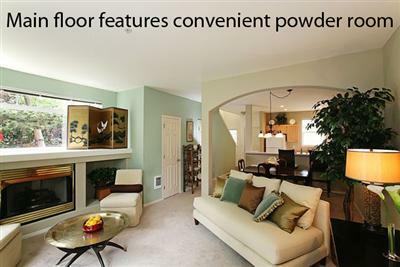 This was the final touch that made all the difference between how my condo was presented on a real estate search. There was just no comparison to my competition with their amateur photos and either no staging or little guidance in how to present their properties in the best light. Susan and Tim had both pushed me a little to get my condo on the market before Memorial Day weekend, not because it would be a big weekend for traffic, but because of their experience they knew that after that weekend many more properties would be listed and they wanted mine to be one of the first to be considered. It worked! Exactly 10 days after I closed on my new house, my condo hit the market and within a week and a half I had received 3 offers. At the time my property was listed, there were 2 others in the complex which had been on the market for several weeks. 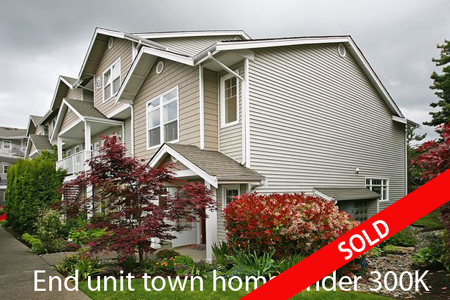 Both were much larger units than mine and both had just dropped their asking price. My condo sold for more than either one and closed way before theirs did, thus saving me months of double house payments. I ended up netting so much more than I had dreamt of. As a result, I have been able to complete projects in my new home that I thought would be put off for years. When it came to follow through, these two were always available, no matter what. If I called and one was busy, the other would call me right back. I never felt ignored or like I was “just another commission”. I was given the very best service I’ve ever had through these types of transactions and I’ve been through several of them with different agents. To sum up my rather long-winded story, I cannot emphasize enough what a huge difference it made to use Susan and Tim rather than going it alone. It was tempting to check out the “Do it Yourself” or “Discount Broker” route and save what seemed like thousands of dollars in commission. I could not have been more incorrect. After all was said and done, I wouldn’t be living in my dream house and I would have lost far more money than I paid in commission. And believe me; they more than earned every penny of it, along with my deepest gratitude and appreciation. If you want to get the best result for your purchase and/or sale, I cannot recommend this team more highly. If you wish to speak with me in person regarding Susan and Tim, please do not hesitate to call me – you’ll get a glowing and well-earned review!